I am a stickler for 0 sugar and low fat treats. 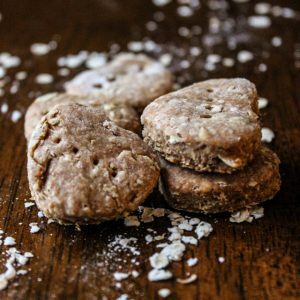 There are no added sugars and added oils and fats besides the peanut butter in this homemade dog treats recipe which is super important to me – especially since sugary treats can flare up infections and fatty treats are just bad for the pancreas, especially for older or overweight dogs. 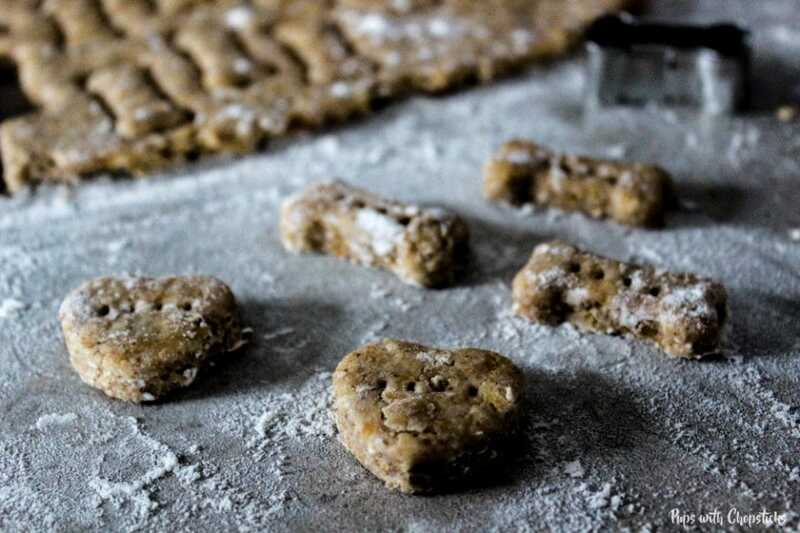 There are only 6 ingredients for this homemade dog treats recipe (not including the water). They should be very easy to find at your local grocery store. 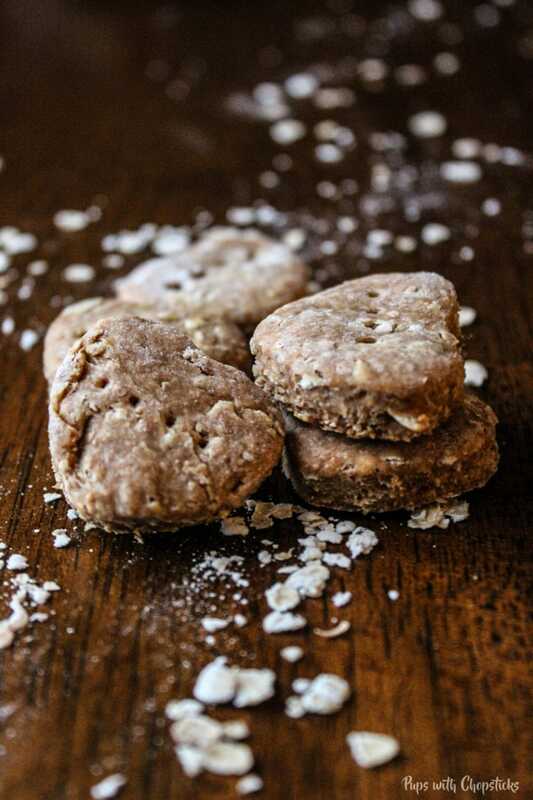 I used spelt flour for the recipe because it creates a dry and tough dough, which results in a more dry crunchy biscuit. For the rolled oats, make sure the ingredients on the packaging only have oats in it. It should not contain any sugar or flavorings. For the peanut butter, please use the all natural peanut butter with no sugar added. The banana already has a natural sweetness. 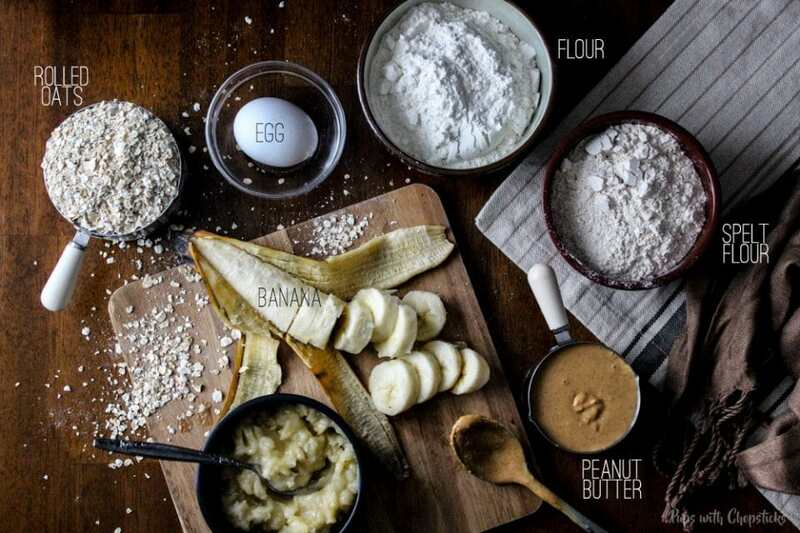 Mix the wet ingredients together (the egg, mashed banana and water) and slowly mix in the dry ingredients and then knead away! When you are making this dough, you will notice that the dough may be a bit dry, you can additional water, 1 teaspoon at a time to make it more pliable and easier to knead but the dough should be very tough and somewhat dry. We want these treats to turn out hard, crunchy and dry. 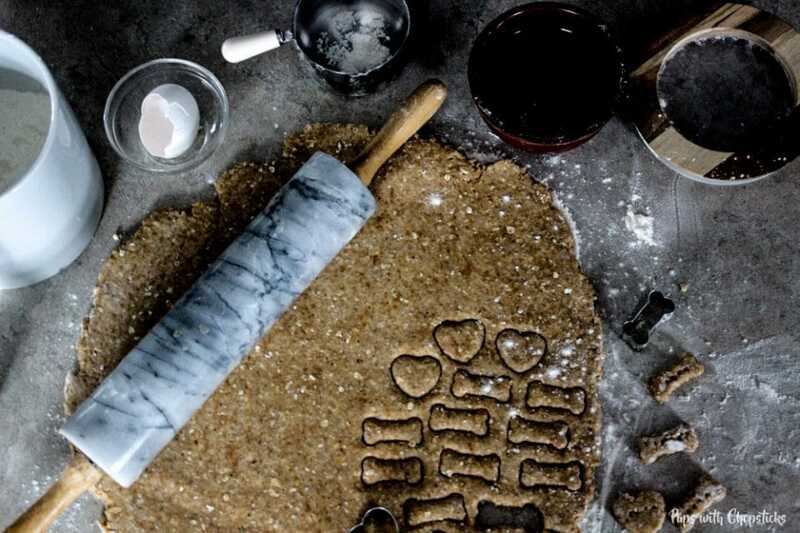 You can use any type of cookie cutter for this recipe, I prefer smaller ones since they are smaller dogs. If you don’t have any cookie cutters, you can cut them up into little squares or rectangles. We want to also bake this in the oven on a slightly lower temperature because our goal is to dry out the biscuits. As long as you dry them out really well in the oven they will keep for a month. I even managed to stretch mine to two months. The treats should be hard as a rock after they are cooled, and you should not be able to break them easily by hand. I usually like to keep these in treat jars or metal tin boxes as well out on the shelves. They don’t need to be refrigerated as long as they have been dried out properly. Hope your pups love it as much as ours do! Knead for approximately 10-15 mins the dough until everything has been incorporated. The dough is supposed to be a little dry and tough. This is because of the spelt flour and it will produce a more crunch and dry biscuit. If the dough is hard to knead and doesn’t stay together, add water 1 tablespoon at a time until it comes together in a dough ball. Bake in the oven for 40-45 minutes. The bottoms should be golden brown but not burnt. The biscuits will be slightly soft in the center when you take it out of the oven, but it will harden when it cools down. When you are buying peanut butter and oats, make sure there is no sugar and extra flavorings in the ingredient label. As long as you dry them out really well in the oven they will keep for a month. I even managed to stretch mine to two months. The treats should be hard as a rock after they are cooled, and you should not be able to break them easily by hand. I usually like to keep these in treat jars or metal tin boxes as well out on the shelves. They don’t need to be refrigerated. Lovely ideas. Will be excellent one to implement at home. Hope my dog will love it also. Thanks for sharing this kinds of awesome ideas. 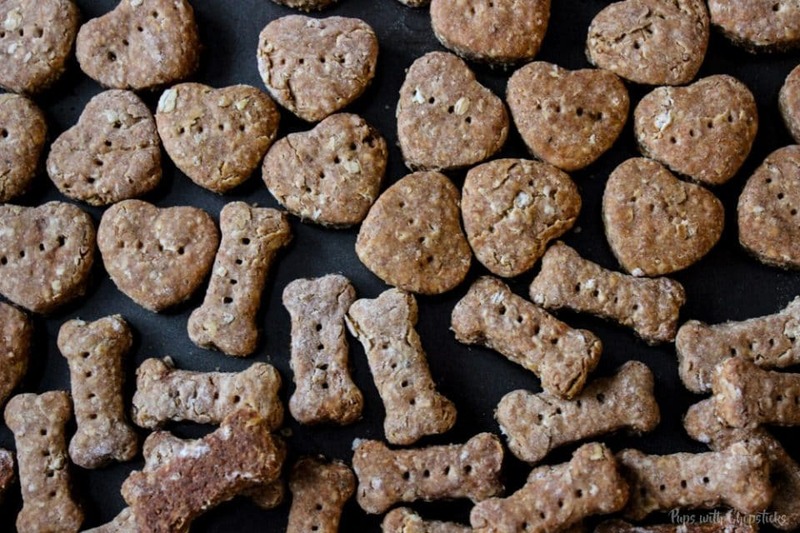 I’ve been looking for a good homemade dog treat recipe, and I think I’ve found it! I have 3 dogs, and as you can imagine it gets expensive buying treats that everyone can eat — one “normal” dog, one with a sensitive stomach & all kinds of skin allergies, and an old toothless beagle. This sounds like something even old toothless can gum to death. I’ll let you know when I make these! I’m really excited. As someone who loves trying new holistic dog treat this was great! I had to cut the all purpose flour because the dough wasn’t accepting anymore…but the dogs absolutely love them!! These looks great! I am going to have to try this recipe out for our 3 pups. What is the shelf life of these treats? Hello, how should these treats be stored. Can they be left on the counter in a container or have to be refrigerated? Hope your pup loves them! I have never tried substituting spelt flour before so I am not 100% but I can tell you what I would do and hopefully it would help! 🙂 I would probably try to substitute it for whole wheat flour. When you are adding the water, add it a little bit at a time and knead the dough until the water is absorbed before adding more. You want the dough to be semi dry (like in the pictures) but still held together well. A drier dough will give you a drier biscuit which means more crunchy! 🙂 Because you are working with a different flour, make sure to keep an eye on it in the oven so it doesn’t get burnt. Hopefully this substitution works for you and Duchess gets some yummies soon! 🙂 Lucky puppy! Happy Birthday! My guy will definitely go crazy for these. I love that you can size them as needed too. Thank you Romain! Yea sometimes I make the treats a bit bigger so that the boys need to actually chew the treats to scrape their teeth clean. I intentionally made the treats dry and hard for this reason 🙂 Great for teeth cleaning! Oscar sounds like such a sweetheart and he has the best mom. The blanket you made him is lovely! 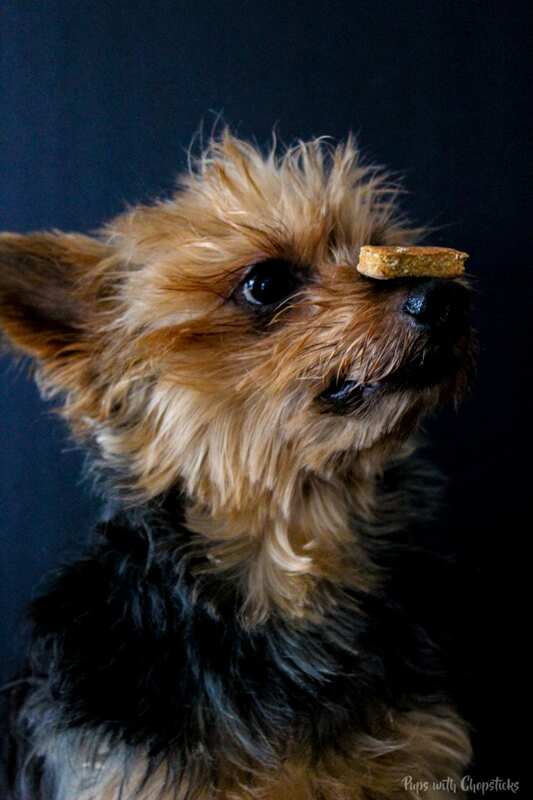 The treat are so cute, all-natural, and it makes 150 treats! I’m saving this recipe for Teddy! BTW, how did you train Oscar to not eat all the treats in the picture? My dog would not be able to pose so well for a picture with all those treats around him. Yes, it makes a lot! but you dry them out til they are nice and hard so it should keep for a while! 🙂 Hope Teddy loves these! Oh as a puppy, I would taunt him with food (because I’m mean that way!) I’d put treats and food on his paws or next to him and I’d scold him if he went near it. If he stayed away from it for a few minutes I’d give him a real treat. I kept doing that until it just stuck, so he knows if he leaves whatever I put there alone, he will get a better treat later. Lots of patience! What a cute dog, and what nice treats for them! I get tired of buying dog treats and not really know what’s in them. This is a nice, clean alternative for my fur-babies. They look good enough that I bet my husband will try to eat them too…haha! Yes! I am the same way! Trying to find a cleaner way for them to have their treats! and they are much cheaper to make at home too, with the better quality ingredients as well. Oh I ate a few haha! Dry and crunchy and I’m sure they were great for my teeth. Oscar is such a cutie!!!! They really are the most special part of our lives, aren’t they?? I can’t wait to make these treats for Darwin. Happy birthday to you both! Thanks for the warm birthday wishes Mikaela! 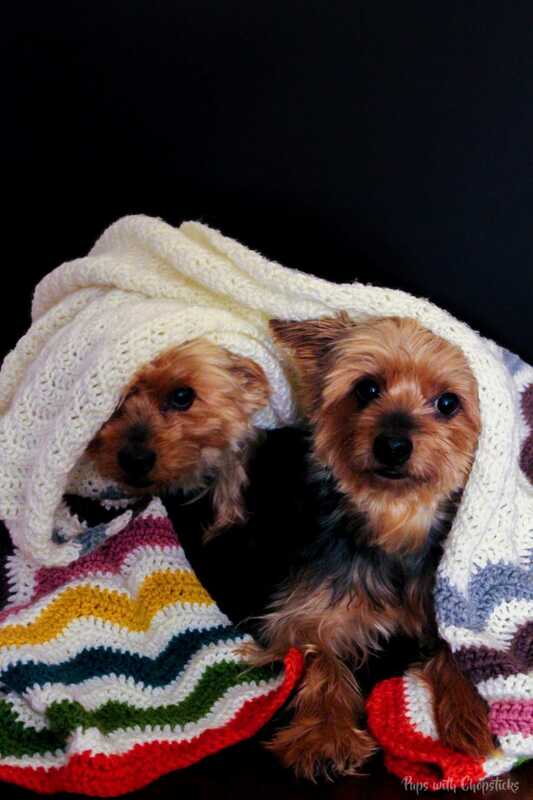 They really are the best part of our lives <3 Hope you enjoy the treats as much as they do!